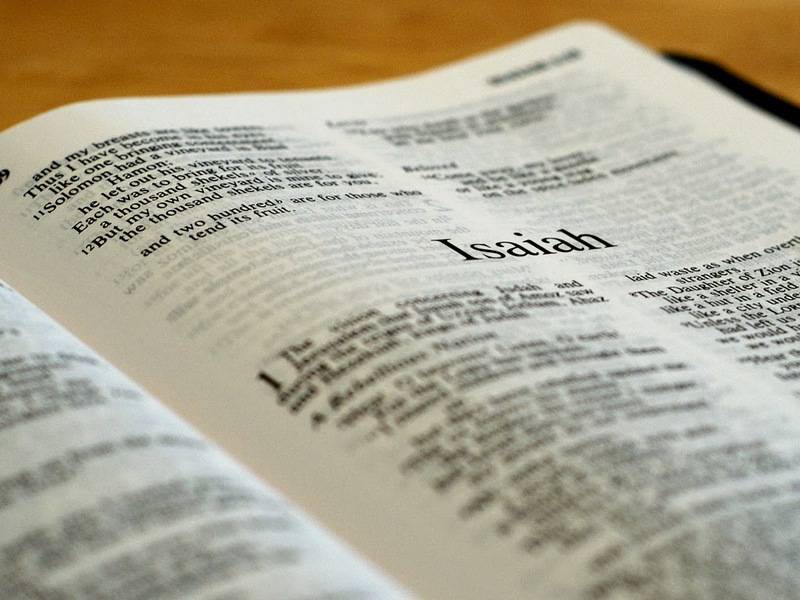 Does the Church Fulfill Isaiah 2? "Zion will be plowed as a field, Jerusalem will become a heap of ruins, And the mountain of the temple will become high places of a forest." The implication is this: "If the prophecy regarding the destruction of Jerusalem was understood literally, even though it was poetic in form, it is natural to take the vision of its restoration literally as well." Or to state another way, if Jerusalem's destruction can be both poetic and literal, so too can its restoration. In sum, Isa 2:2-4 teaches that God's kingdom will be on earth, centered in Jerusalem. Gentile nations will flock to Jerusalem to worship God and learn His ways. There is global peace among nations. This shows a harmony between Israel and the nations. For the first time in history a Ruler, the Lord, will offer perfect judgments on behalf of the nations. These nations will no longer prepare for war but will use their resources for peaceful purposes. This speaks of more than spiritual salvation in the church today. This describes ideal conditions on the earth among nations caused by a perfect Leader. These conditions have not happened yet in human history but they will when Messiah's kingdom is established. Does Isaiah 2:2-4 Speak of the Church? While I would disagree with Hoekema when he places the fulfillment of Isaiah 2 in the coming Eternal State only and not in a millennial kingdom, his understanding of the passage is a vast improvement over the 'church fulfillment' view. Hoekema rightly states that the church perspective is "an impoverishment of the meaning." What Hoekema understood was that the truths of Isaiah 2:1-4 cannot be completely fulfilled in the church today. "Only on the new earth will this part of Isaiah's prophecy be completely fulfilled." Thus, Hoekema is correct that Isa 2:2-4 must be fulfilled in the future. Third, it is not the case that Heb 12:18-24 indicates that Isa 2:2-4 is fulfilled in the church. The writer of Hebrews declares that Christians today are positionally related to a city that is still to come (see Heb 13:4). But how can the fact that Christians are positionally related to the coming New Jerusalem prove that the prophecy of Isa 2:2-4 is finding its fulfillment today? Hebrews 12 is not revealing a full fulfillment of Isaiah 2. Since the descriptions in Isaiah 2:2-4 have not occurred yet, their fulfillment awaits a future time after the second coming of Jesus the Messiah. The fulfillment will take place in an intermediate earthly kingdom often called the millennium. It also takes place in connection with the Davidic reign of the ultimate Son of David, Jesus. The view that Isa 2:2-4 is fulfilled in the church today is incorrect since it relies on a spiritualization of the text that is not warranted. It spiritualizes Judah and Jerusalem along with literal nations coming to Jerusalem. It also misses the point of international peace among nations. Hoekema's futuristic understanding of Isaiah 2 is a positive development since he understands that the contents of the Isaiah passage have not been fulfilled yet. Yet the attempt to put the fulfillment of Isa 2:2-4 only in the Eternal State and not in an intermediate kingdom (or millennium) has two major flaws. First, the kingdom of Isaiah is directly related to the Davidic reign of the Son of David (see Isa 9:6-7). One key aspect of amillennial theology is that the Davidic kingdom reign of the Messiah is being fulfilled between the two comings of Jesus. 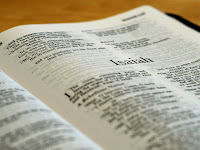 But if Isaiah 2 is fulfilled in the Eternal State, this puts the kingdom of Isaiah 2 outside the Davidic reign of Jesus. According to 1 Cor 15:24-28 Jesus delivers His kingdom over to God the Father after Jesus has successfully reigned over His enemies. Are those who hold to the "Eternal State" view of Isaiah 2 willing to separate the fulfillment of Isaiah 2 from the millennium and Davidic reign of Jesus? Second, the kingdom promises of Isaiah 2 and other texts (Isa 9; 11) involve the restoration of national Israel with a unique role to other nations. If one wants to be literal with Isaiah 2, one must be literal with the role that national Israel plays with these passages. We find it difficult to hold that Isaiah 2 is describing a time period of global international peace that is yet future from our standpoint, but national Israel's role during this time is non-existent or transcended. Instead, both will occur. John Sailhamer, "Evidence from Isaiah," in A Case for Premillennialism (Chicago: Moody), 96. John Calvin, Commentary on Isaiah—Volume 1 . Christian Classics Ethereal Library (Grand Rapids: Christian Classics Ethereal Library, n.d.), 66. Kenneth Gentry, "Postmillennialism," in Three Views on the Millennium and Beyond , ed. Darrell L. Bock (Grand Rapids: Zondervan, 1999), 36. This denies the Jewish element to this prophecy in an unwarranted fashion. While the people of God certainly expands to include Gentiles, specific prophecies concerning Judah, Jerusalem, and Israel can still expect literal fulfillment. It does not follow that since later salvation history will include Gentiles as the people of God, that this passage must have its Jewish elements transcended to something else. Robert B. Strimple, "Amillennialism," in Three Views on the Millenium and Beyond , (Grand Rapids: Zondervan, 1999), 93. Emphasis is in the original. Kim Riddlebarger, A Case for Amillennialism: Understanding the End Times (Grand Rapids: Baker, 2003), 73-74. Harry Bultema, Commentary on Isaiah (Grand Rapids: Kregel, 1981), 51. Anthony A. Hoekema, The Bible and the Future (Grand Rapids: Eerdmans, 1979), 205-06. Robert Jamieson, Andrew Robert Fausset, and David Brown, A Commentary: Critical, Practical and Explanatory, on the Old and New Testaments (J. B. Names & co., 1883), 100.